http://arbor-glyph.com/2009/03/ where to buy modafinil ireland Freeman Victor Horner was born on June 7, 1922 in Mount Carmel, Pennsylvania. He held only a grade-school education when he voluntarily enlisted in the United States Army on January 4, 1941 at age 18. Horner’s original enlistment was for one year, which of course was extended indefinitely by the United States’ entry into World War II. Horner fought in Europe with the 30th Infantry Division. By November 16, 1944, he was a Staff Sergeant in Company K, 3rd Battalion, 119th Infantry Regiment fighting at Wurselen, Germany. 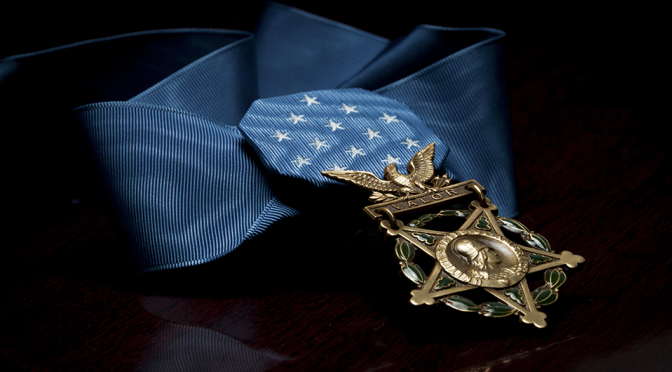 On that day, Horner eliminated three Nazi German machine gun positions alone and was later decorated with the Medal of Honor. Citation: S/Sgt. Horner and other members of his company were attacking Wurselen, Germany, against stubborn resistance on 16 November 1944, when machinegun fire from houses on the edge of the town pinned the attackers in flat, open terrain 100 yards from their objective. As they lay in the field, enemy artillery observers directed fire upon them, causing serious casualties. Realizing that the machine guns must be eliminated in order to permit the company to advance from its precarious position, S/Sgt. Horner voluntarily stood up with his submachine gun and rushed into the teeth of concentrated fire, burdened by a heavy load of ammunition and hand grenades. Just as he reached a position of seeming safety, he was fired on by a machine gun which had remained silent up until that time. He coolly wheeled in his fully exposed position while bullets barely missed him and killed 2 hostile gunners with a single, devastating burst. He turned to face the fire of the other 2 machineguns, and dodging fire as he ran, charged the 2 positions 50 yards away. Demoralized by their inability to hit the intrepid infantryman, the enemy abandoned their guns and took cover in the cellar of the house they occupied. S/Sgt. Horner burst into the building, hurled 2 grenades down the cellar stairs, and called for the Germans to surrender. Four men gave up to him. By his extraordinary courage, S/Sgt. Horner destroyed 3 enemy machinegun positions, killed or captured 7 enemy, and cleared the path for his company’s successful assault on Wurselen. Horner remained in the Army after the war, eventually received an officer’s commission, and also served in the Korean War. He left the service with the rank of Major, and passed away on December 1, 2005 in Columbus, Georgia. He was laid to rest with full military honors in Arlington National Cemetery. The 119th Infantry is presently inactive. The lineage of the 30th Infantry Division is preserved by the Army National Guard’s 30th Heavy Brigade Combat Team, comprised of guardsmen from North Carolina and West Virginia. Previous PostPrivate Elmer E. Fryar, USA (December 8, 1944)Next Post#TFH Live, 12/15: Who are the RINOs?, plus Heather & Eric Front and Center!